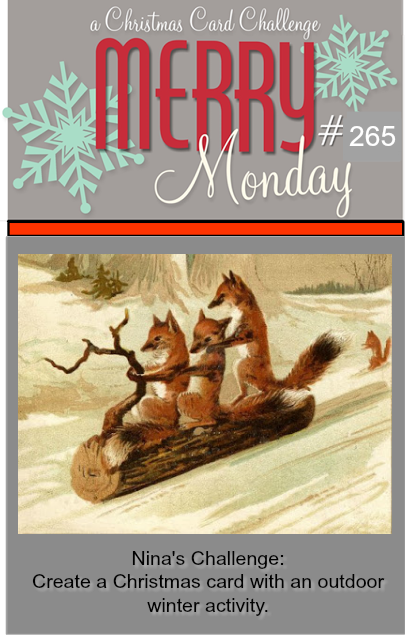 This week at Merry Monday, we are creating Christmas cards depicting outdoor activities. I went CAS to depict a delightful sledder. The sledder was die cut from pink Mirracard and set against a black and white background. This entry was posted in Merry Monday and tagged ImpressionObsession, MyFavoriteThings, SimonSaysStamp. How cute this is! Love the pattern paper with your sparkly sledder! I love your card and the hint of pink against the black background love it. So happy you joined us over at Merry Monday this week.